Dead Rhetoric.com and Bastardized Recordings have teamed up to give away one (1) copy of Ichor’s latest release, Depths. As described in a review by Kyle McGinn, “Depths is full of promise for the band if they stick to their guns. 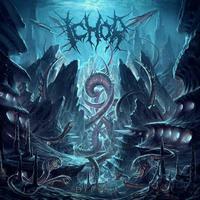 For the naysayers, Ichor provides proof that some deathcore elements can successfully be incorporated into the more modern death metal framework, if you are willing to put some effort into their arrangement. A band to keep your eyes on in the future.” You can also check out a full album stream below. Sound good? Then enter for your chance to win by Sunday, May 3, 2015. Enter “Depths” in the answer field below.